Community comes out to support Right 2 Rest Act at Festival! 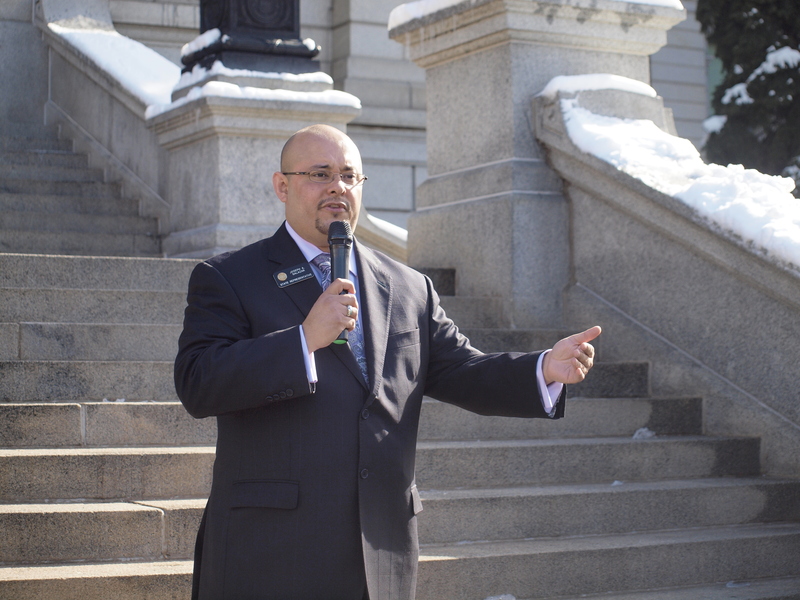 A wondrous event occurred on the steps of the Denver Capitol on February 2nd. 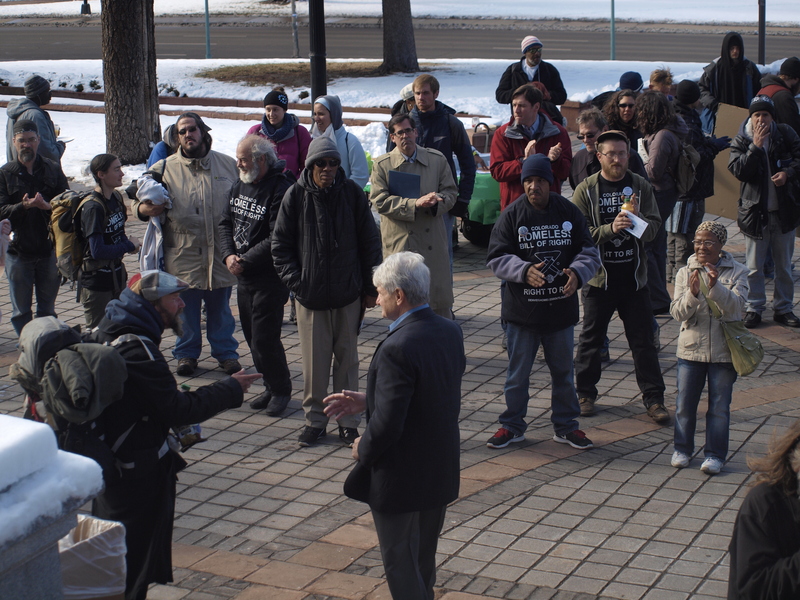 Denver Homeless Out Loud (DHOL), a volunteer organization working to amplify the voices of homeless people, organized an event to kick off a campaign for the Colorado State Legislature to pass a Right to Rest Act to protect all people’s rights to use public spaces. The event attracted several hundred homeless people who came all the way from Fort Collins, Boulder and surrounding Denver suburbs–as well as from Denver itself. This festival was together with Western Regional Advocacy Project one of 8 actions in cities in California and Oregon in support of the Right to Rest! The event included music, speeches, plays, break dancing, banner and button making, postcard-writing, and food. It involved conversation, mingling of supporters who dropped in and out, and many important interactions. Over 25 people took the microphone to describe how their lives have been impacted by the criminalization of homelessness and why legislation is needed to end this harmful trend. Other speakers included bill sponsors Representative Joe Salazar and Senator John Kefalas, supporter Representative Joann Ginal, DHOL members, City Council-At-Large candidate Jeffrey Washington, and Mayoral Candidate Chairman Seku. The gathering was passionate, peaceful, accurate, thoughtful–and joined together all who attended with a spirit of hope, solidarity and community. In short, it was an unique event in Denver — one which should give momentum to the legislature’s consideration and passage of a Right to Rest Act for the state of Colorado.